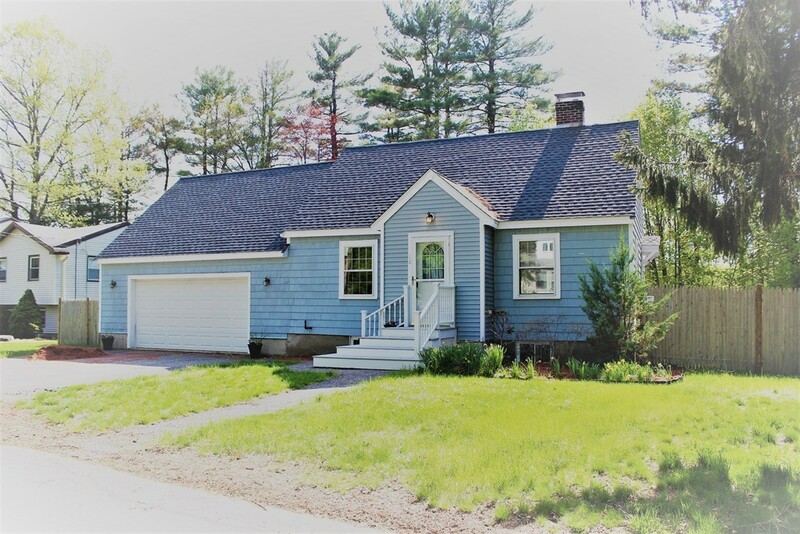 Directions: Middlesex Ave. To North St.
Don't miss this opportunity to own a conveniently located, well-maintained home that you can be proud of. This 3 bedroom, 2 bath expanded Cape, with its attached two car garage and huge fenced yard, is the one that you've been waiting for. Highlights include an incredibly large living room, a formal dining room with a beautiful wood-burning fireplace, a kitchen with stainless steel appliances and plenty of counter space, a bonus room that can be used as a large first-floor bedroom, office or a large family room, a gigantic master bedroom with large amounts of closet space, central air conditioning and hardwood floors throughout. All of this in a super convenient location, walkable to the commuter rail train and seconds to Interstate 93. This home leaves you with nothing to do but move-in, relax and enjoy your new home. Open House on Saturday from 11-12:30 and Sunday from 1:30 to 3. Offer deadline of Tuesday, 5/22/18, at Noon.